She was so scared, but she's safe now. 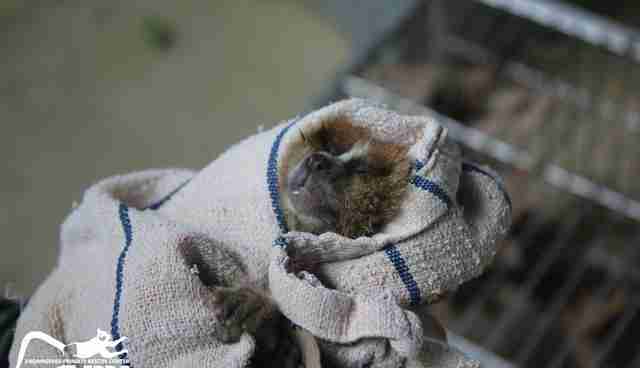 Two young pygmy loris siblings recently lost their home. The third more than likely lost her baby forever. 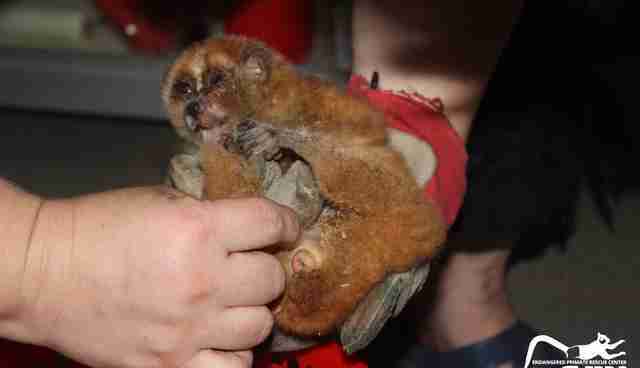 According to the family who had the siblings, the forest in the area has been destroyed so badly that the lorises have nowhere to live, forcing them to sometimes even seek shelter in people's homes. 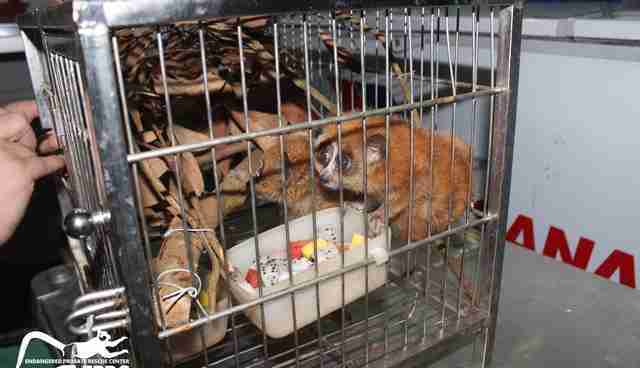 This prompted the family, who knew it was illegal to keep the lorises, to reach out. 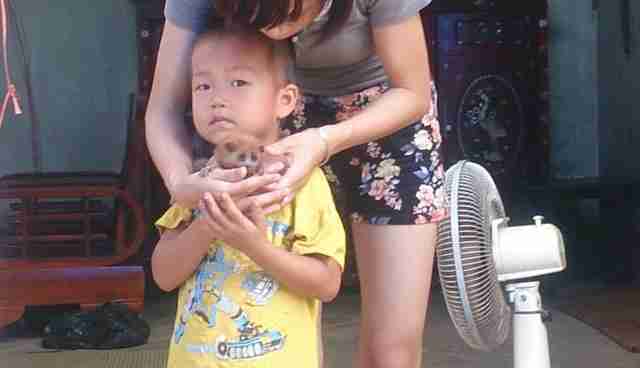 Another family who had been keeping a pygmy loris decided to surrender the animal on the spot after learning from EPRC about the issues surrounding keeping a loris. "The villagers even claimed that in the next few days, they will surrender even more lorises," Hieu Nguyen, a staffer at the rescue center, told The Dodo. 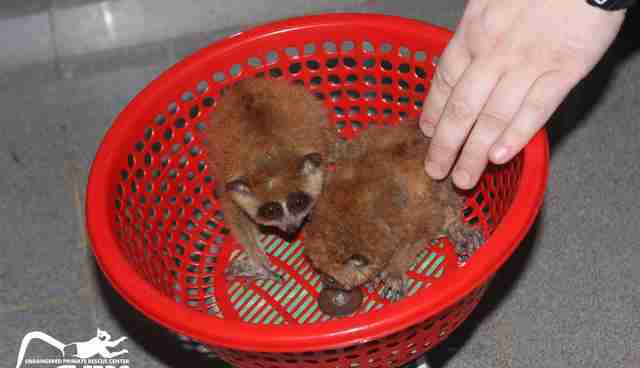 The two young pygmy loris siblings were malnourished, and are currently stressed about entering a new environment, but are otherwise doing okay, according to EPRC. 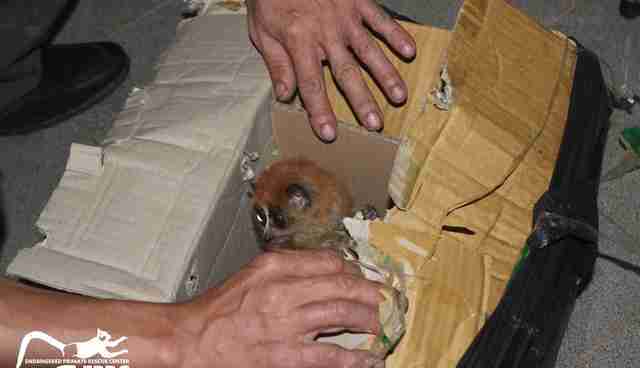 "We cannot tell for sure if the third loris, who is a fully grown female pygmy loris, is the mother of the two," Nguyen said. "We can tell that this one has given birth to babies this year already, but it's likely her offspring were separated from her." In addition to also being malnourished, the mother loris suffered from an eye infection. Major threats are constantly disrupting the lives of slow lorises, a type of primate, including habitat loss, their perceived usefulness in traditional Asian medicine and the exotic pet trade. Lorises aren't just a threatened species on the International Union for Conservation of Nature (IUCN) Red List, but a protected species in Vietnam as well. Another huge barrier that conservationists run into is simply a lack of education about the animals - which EPRC saw firsthand during this particular rescue. "We were very surprised to see, when we arrived at the local family to rescue those two, that other families in the surrounding area had been waiting for us as well," Nguyen said. 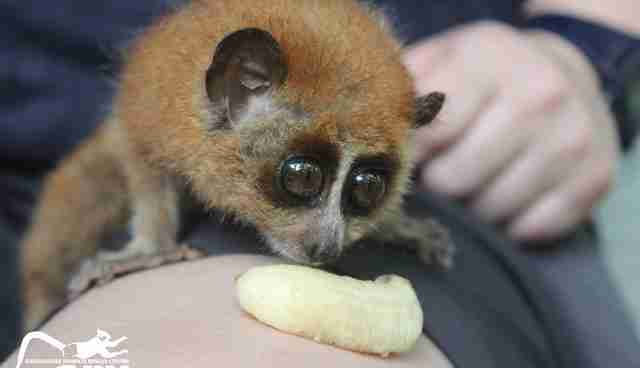 "They were dazzled by the fact that a small species like the pygmy loris is protected by laws, and that there's even a foreign NGO like EPRC dedicated to save it. It was a good chance for us to talk with them and raise awareness about this species, and primates in general." Nguyen said the next steps for the care of the three lorises include getting them healthy on a high-protein diet of tree sap, insects, milk and fresh fruit. "We will assess whether or not they show strong health and normal behaviours to release," Nguyen said. "The grown up seems to be a candidate, but the two siblings are harder because they are still young and will have to get used to being hand-fed by humans." Of course, Nguyen noted, serious efforts will be made to ensure the younger siblings grow up as naturally as possible while in EPRC's care, so that they may be released one day as well. To keep up with EPRC's rescue work, follow the organization here. 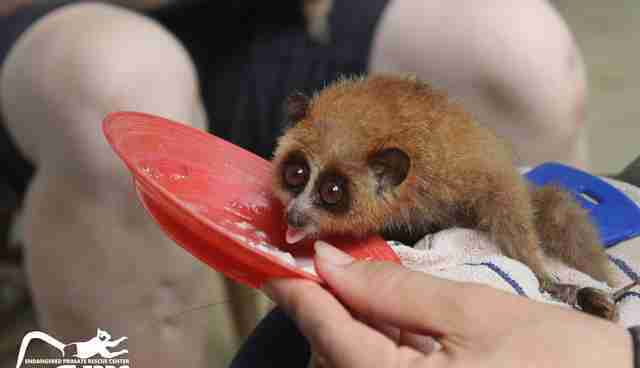 If you'd like to help slow lorises like these, donate to International Animal Rescue here.